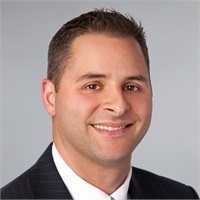 Gregg began his career in the financial services business in 1999 at Pioneer Investment Management, before beginning a financial consulting practice in 2000 through 2005 with the Boston Group of the Northwestern Mutual Financial Network. Gregg then spent over 4 years (2005 - 2009) running a successful high-end financial advisory practice with Executive Compensation Group, which served as the Boston office for Charter Oak Insurance & Financial Services. After a successfully merging Executive Compensation Group with Commonwealth Financial Group in 2009, Gregg co-founded Miles Logue Financial Group in the spring of 2010, a practice he renamed Cross Coastal Advisors after his partner, Jim Logue, stepped down in 2014. Gregg has developed a team and process to successfully consult and advise high net-worth individuals, their families and their various advisory groups, regarding the use of insurance-based products as an option for generational asset transfers and estate planning strategies. Gregg's practice is diverse within its clientele, but has a large focus with executives and senior members within the private equity, venture capital, hedge fund, real estate, and business owner marketplaces, including current and former Fortune 500 executives and various prominent families throughout the country. Since entering the financial consulting/advisory business, Gregg has received numerous awards, both nationally and locally, as both a financial consultant and producer. His recognition and receipt of such awards stems from both his advanced knowledge and high quality of service that he provides to his clientele. Outside of work, Gregg stays active in the community by being involved with numerous charities and foundations, including The Boston Foundation, Good Sports, The Wounded Warrior Foundation and The United Way. Gregg and his wife Melissa currently reside in Boston, with their two sons Nolan and Keaton and daughter, Langley. Affiliations: Member, National Association of Insurance Financial Advisors Member, Boston Estate Planning Council (BEPC) Member, The Boston Foundation. MassMutual Financial Group is a marketing name for Massachusetts Mutual Life Insurance Company (MassMutual) and its affiliated companies and sales representatives. Local sales agencies are not subsidiaries of MassMutual or its affilated companies. Agency officers are not officers of MassMutual. Offices operating under an alternative marketing name may offer products, services, or guidance outside of their relationship with Massachusetts Mutual Life Insurance Company (MassMutual), MML Investors Services, LLC or their affiliated companies. Any such offices are not subsidiaries or affiliates of MassMutual or its affiliated companies.